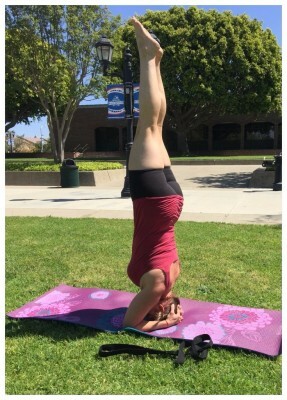 I recieved my yoga teacher training from Dharma Shakti at her Yogalution studio in Long Beach in 2016 an have had a personal practice for 25 years. I offer tools for wellness utilizing yoga therapy sessions to teach asanas (postures), pranayama (breathing techniques) and guided relaxation and meditation to aid clients in healing body, mind, and spirit. I am available for private yoga instruction for both groups and individuals seeking to utilize yoga as a means of connecting with their highest selves and strengthening and stretching their bodies. I really enjoy private teaching. It’s an opportunity to dive a little deeper with individual students and groups, connect more closely with them, and provide focused support. With private yoga lessons, you'll zero in on your goals and get individualized instruction based on your health, body type, lifestyle, and on your time. Students seek private yoga for a number of reasons. Learning the basics of yoga and developing confidence to practice in group settings. Asanas enhance muscle strength, coordination, flexibility, agility and range of motion. Yoga improves posture, increases oxygen intake and enhances the functioning of all body systems such as musculoskeletal, respiratory, digestive, endocrine, reproductive, and cardiovascular systems etc..
Yoga is highly recommended for the people in competitive, stressful working environments. Yoga gives you the capacity to face up the life’s challenges. When you respect your body you tend to do things that will enhance its vitality. Yoga improves your psychological well being and has a positive effect on the emotions by calming the mind. Yoga is great for cultivating a therapeutic practice to improve health issues like insomnia or low back pain. Deepening meditation practice and mindfulness. Needing special attention to master a challenging pose like headstand or perfect form in a fundamental pose like adho mukha svanasana. The benefits of yoga are numerous including physical fitness, stress management, general well being, mental clarity, and greater self-understanding.